See how wine was made ‘back in the day’ at wineries that still hold true to that tradition. Learn how Paso Robles Winemakers are blending traditional techniques with modern technology to create superior wines in the heart of Central Coast Wine Country. Visit the Historic Rotta Winery, which was originally established in 1856 and see the old structures alongside new ones. Invest a day in fun and history – experience old school winemaking on this tasting trail! 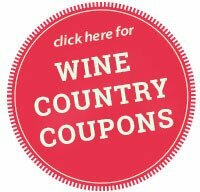 Checkout the list below or find wineries who do ‘Old School Winemaking’ on the go with our mobile website.